Sometimes it’s hard to make sense of the collective public outrages made so visible by social media. 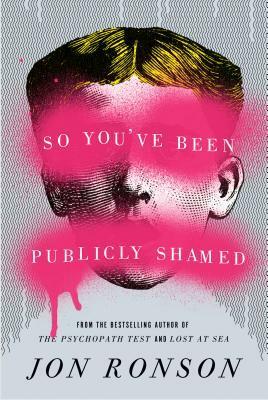 Jon Ronson follows a few “recipients of famous public shamings” and sheds light on the merciless circle of public shame that social media enables. He also provides an implicating understanding of a cyber-bully, and argues that shaming is a form of social normalizing. Twitter activities have mystifying consequences on the lives of even non-public persons, and So You’ve Been Publicly Shamed delves, with empathy and humor, into the meaning of the renaissance in public shaming.